The VEGAST cranks celebrate ROTOR’s racing and winning heritage. Featuring an innovative modular structure constructed of CNC’d aluminum, the VEGAST crank arms are ready to take you to the top of the podium. The crank arms incorporate OCP Mount technology which enables the rider to fine-tune the orientation of ROTOR’s oval Q-rings. The VEGAST proprietary, patent-pending design is based on the modularity of each crankset component. This is done to make each component individually available to accommodate the current spectrum of rider and bike standards. It also allows the entire crankset to be taken apart with a single bolt. 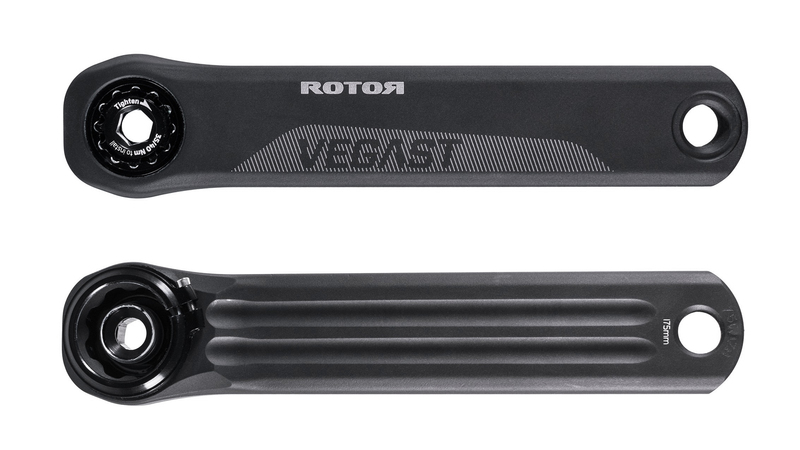 The VEGAST crank arms features ROTOR’s Trinity Drilling Design which is a process that drills three full-depth holes along the axis of the crank, reducing weight without sacrificing stiffness.